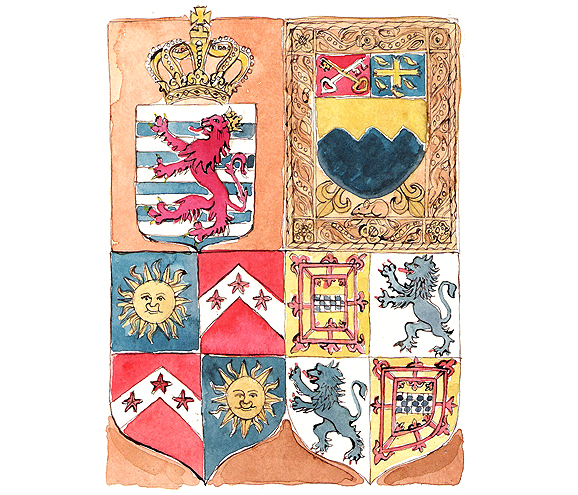 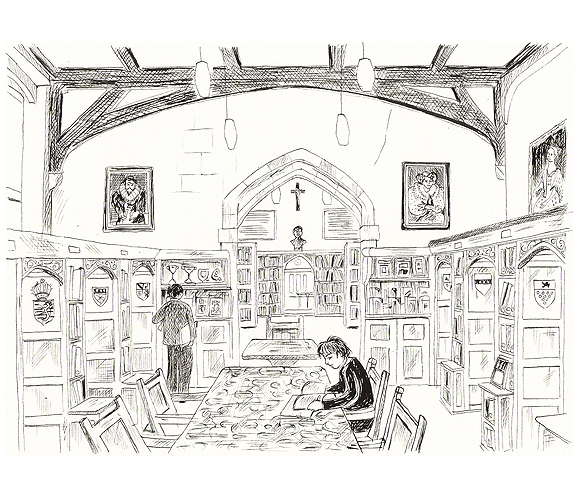 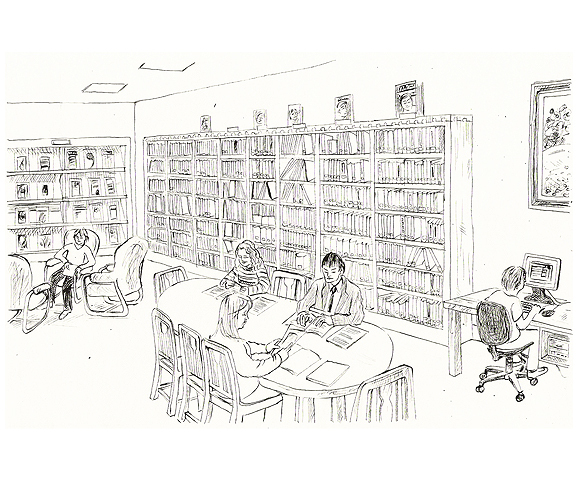 A series of illustrations capturing the distinct character of the library at Ampleforth College, North Yorkshire, were commissioned by the Librarian, Denise Raine and are featured on the college's website. 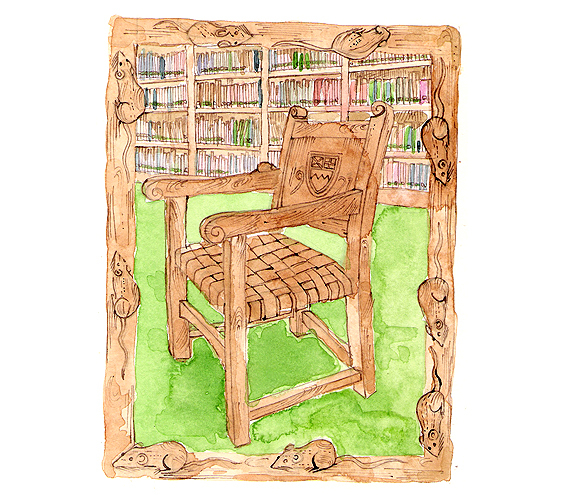 The furniture maker and wood carver Robert Thompson, better known as 'The Mouseman of Kilburn' was commissioned to furnish the library when it was expanded in 1925. 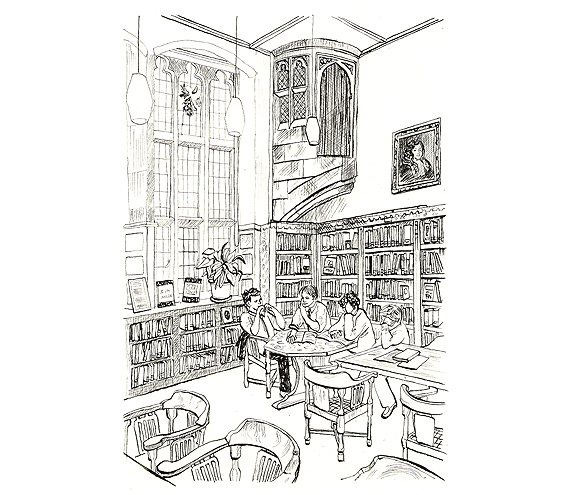 The commission helped to establish his reputation and the library is acknowledged as a prime example of his work. 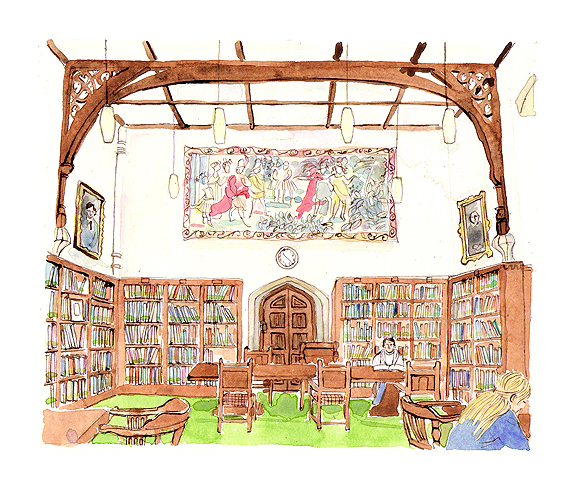 The last artist to draw the Library was Joseph Pike whose sketch book of the College was published in 1921. 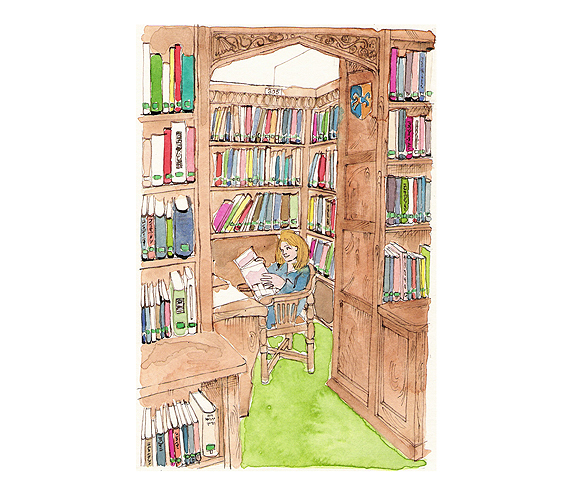 Catherine aims to work from life whenever possible. 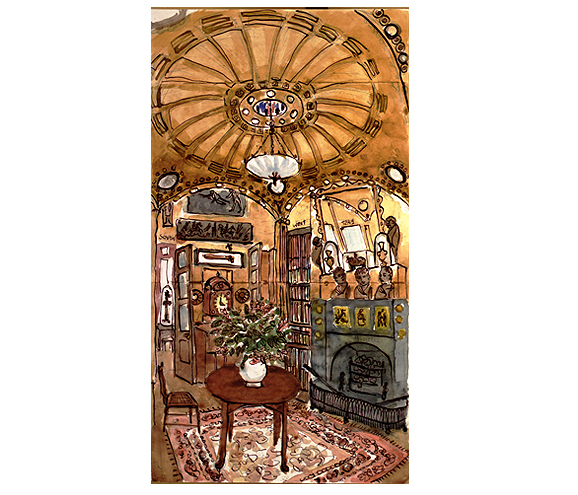 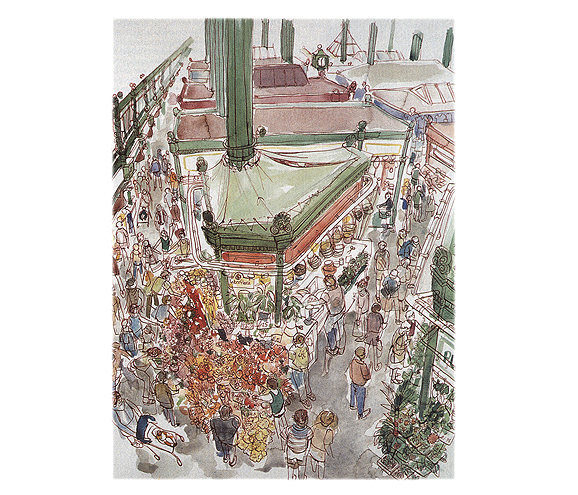 When producing illustrations of Kirkgate Market in Leeds she was able to do this by gaining access to the balcony, and for her studies of the Sir John Soane's Museum at Lincoln's Inn Fields in London she was granted rare permission to work in-situ.